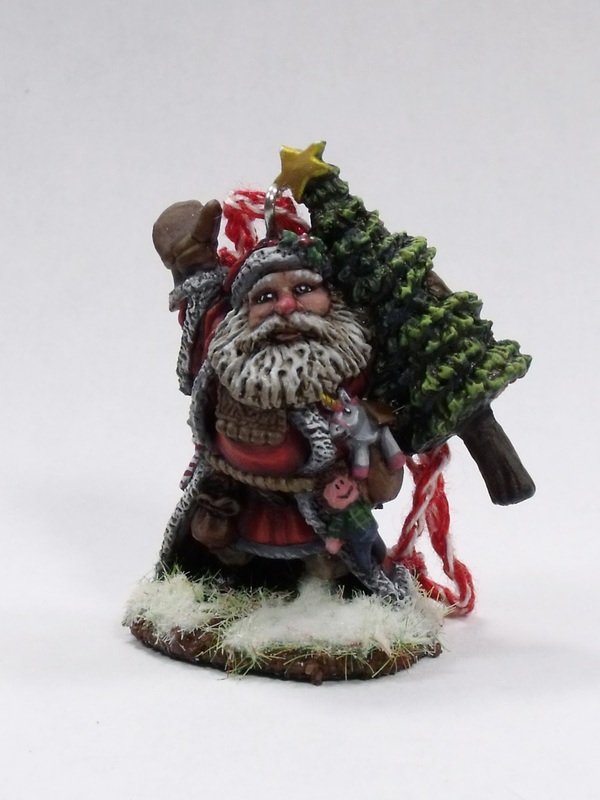 Reaper Miniatures releases special Christmas themed minis this time of year, and they are only available during the month of December. On the 1st, I ordered up the 2012 Santa Dwarf with the plan to paint him up and turn him into a hanging ornament. He was painted rather quickly, since he's on the small side and rather simple. I did have a bit of fun with him though. He has a unicorn in his hip pouch, which I painted up like the unicorn plush toy in Despicable Me and the present in his rear pack I painted up with silver and red wrapping paper, like the paper I actually wrapped him in. The hanger loop was made with a paper clip and a set of rounded needle nose pliers. The string that he hangs from was braided by my mom, after I told her I needed to buy some rope just to make the loop. 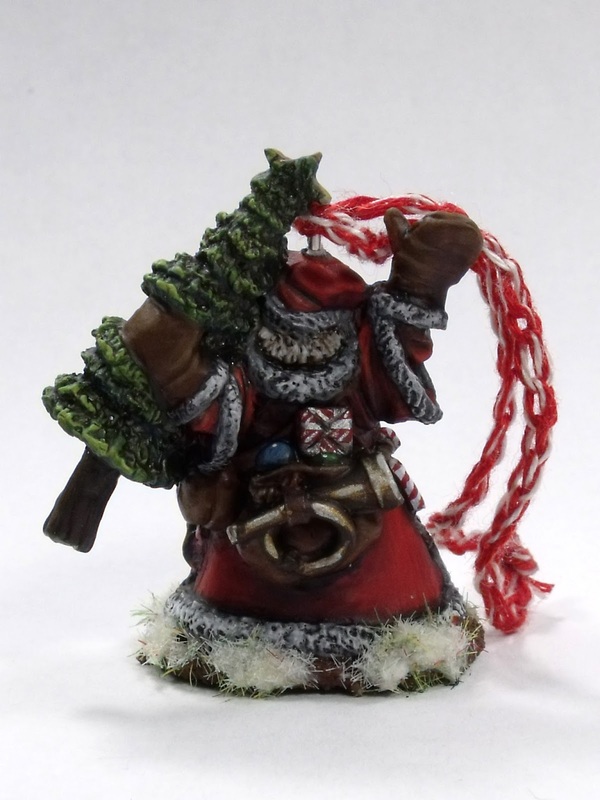 I still need to buy the rope though, as I have some mouslings and a Christmas Sophie that I want to turn into ornaments for my own tree. But, with Christmas come and gone, that'll have to wait til later. Hope you and your's have a Merry Christmas and Happy New Year!